Thank you Maggie Sottero for sponsoring this post. All thoughts are my own. Dreams do come true! Today, I'm not only sharing the story of finding my dream wedding dress, but I'm also so excited to finally be able to share that I will be partnering with Maggie Sottero (the designer of my wedding dress!) 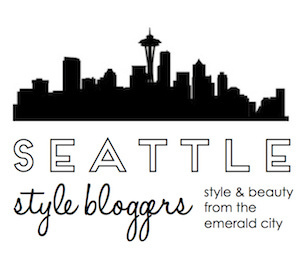 for a pop up event at I Do Bridal in Seattle (the bridal boutique where I found my dress!) on Friday, May 4, 2018! Brides-to-be, you're invited! 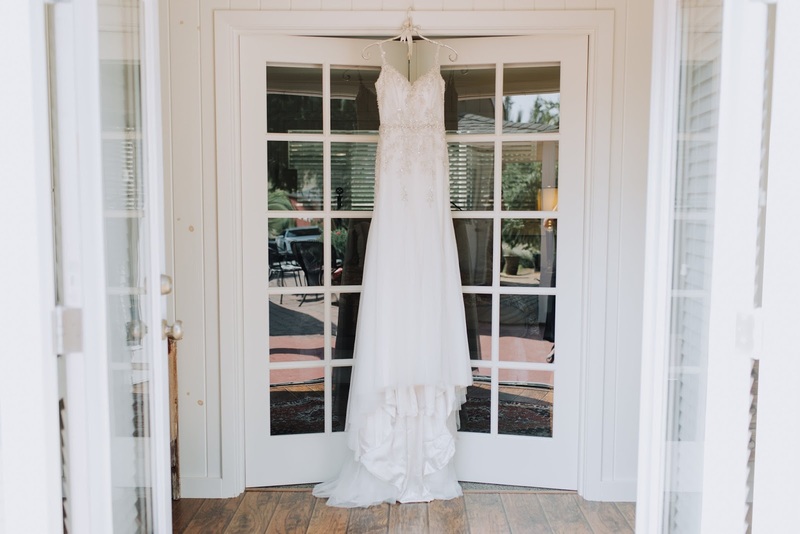 When I got married last September at Dancing Fish Vineyards on Whidbey Island, I got married in the dress of my dreams. To be honest though, I wasn't sure if I'd ever find a dress when I began wedding dress shopping. I did not have the "perfect dress" in mind when I began looking. I kind of thought I'd just know the dress when I saw it. Looking back, I wish I'd had a bit more direction and taken some time to research and attend pop up events, like the upcoming Maggie Sottero one at I Do Bridal! I Do Bridal shop is one of just a few select retailers Maggie Sottero has partnered with to execute a Pop Up and this is the ONLY Maggie Pop Up for miles (thousands of miles, actually!). Instead of doing my research and attending pop up events, I visited a few bridal shops with my bridesmaids and left each time feeling frustrated. 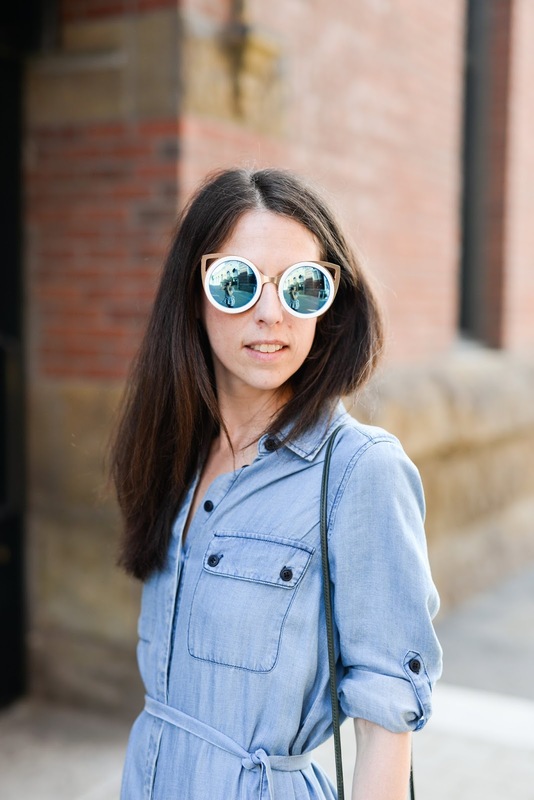 Nothing was feeling like "the dress" and I was beginning to grow concerned as the months and weeks went by and I wasn't finding anything and our wedding date kept getting closer and closer. 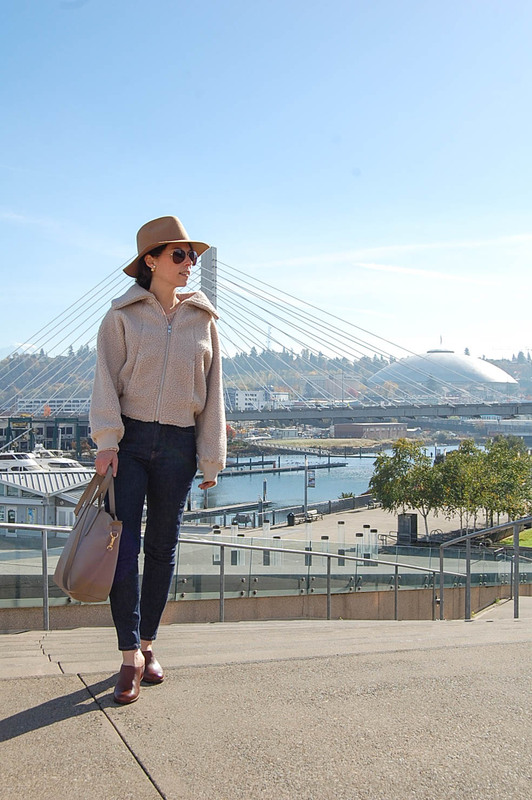 When I stepped into I Do Bridal, in the Greenwood neighborhood of Seattle with my mom and one of my bridesmaids, however, everything changed. The experience was calming, the space lovely and the dresses absolutely beautiful. I had made an appointment beforehand (you won't need one for the pop up event!) and was greeted by a stylist immediately, who brought us to our own space in the boutique for trying on gowns. The stylist began asking questions and brought over a few dresses for me to consider. Almost immediately a pattern began to emerge. Each dress I said a maybe to for trying on was a Maggie Sottero! Gorgeous, romantic, modern and with stunning embellishments; while I had not yet found my dress, I knew I had found my designer and my dream wedding dress was soon to be discovered for our vineyard island wedding. As soon as I got home I looked the dress up online. I sent a photo of it to my maid of honor and bridesmaids. And then, I saw the dress in the the wedding magazine I was perusing. I could not sleep on it. I just knew it was my dress. I made another appointment at I Do Bridal for the very next day with my mom and bought my dream wedding dress, the Maggie Sottero Andraea Wedding Dress! 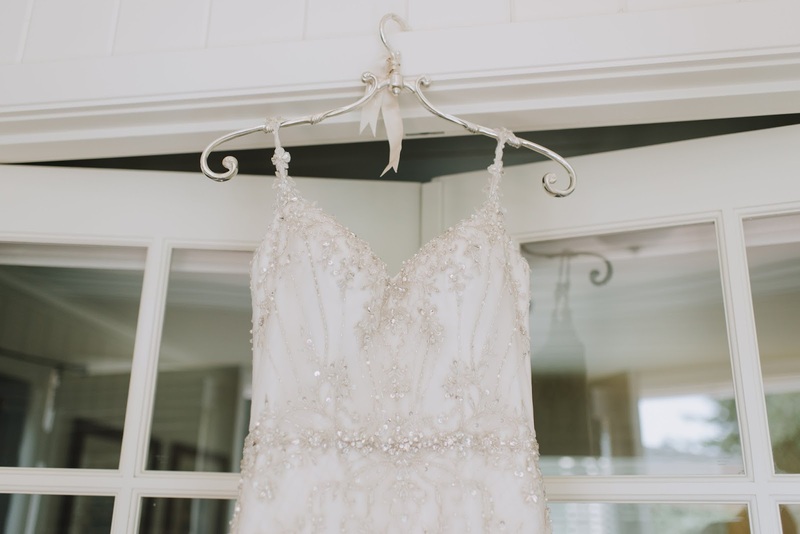 The Maggie Sottero Andraea Wedding Dress was the perfect dress for our vineyard island wedding. Adorned with Swarovski crystals and beaded embellishment over soft tulle, the ethereal elegance of the A-line skirt and godet panels adding soft volume, this vintage inspired dress was the one I was always looking for and the dress of my dreams! Even more special was when I called my Dad to tell him I had found my dress, he let me know he'd driven by I Do Bridal the very same morning I was trying on my dress for the first time! He was just about to tell me to check out I Do Bridal for a dress because it looked like a bridal boutique I would like! 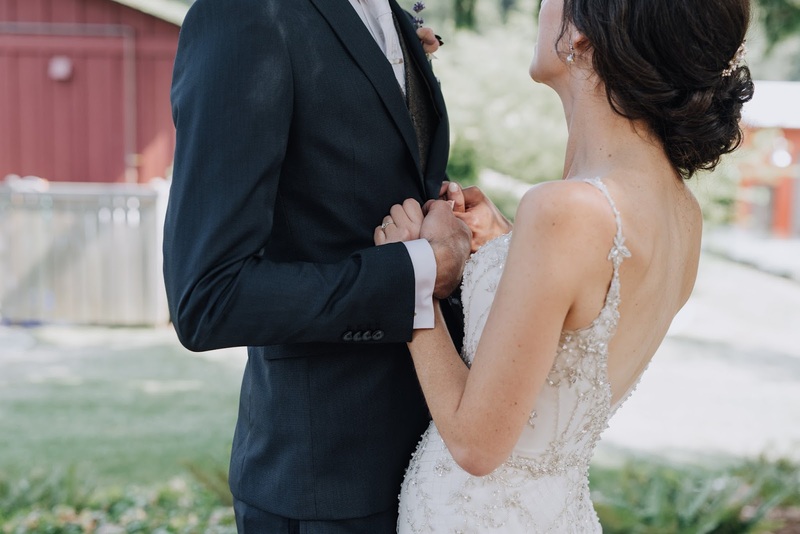 Not only was the Maggie Sottero Andraea Wedding Dress the dress of my dreams, it was absolutely meant to be! I said yes to the dress! And now, I'm ready to help you find YOUR dream wedding gown at the Maggie Sottero Pop Up at I Do Bridal! I nearly fell out of my chair when Maggie Sottero (hello, the designer of my wedding dress!) reached out to partner with me post-wedding for the pop up event at I Do Bridal. Seriously, dreams come true! The upcoming Maggie Sottero I Do Bridal Pop Up event is truly a special and unique opportunity, as the Maggie Sottero design team will bring over 100 of their best gowns, a much more expansive selection compared to what is typically available. The perfect opportunity to fall in love with your own Maggie dream wedding gown! I'll be there at the beginning of the Pop Up at 11am for a meet and greet and I would love to help you find your dream dress and share wedding tips! Grab your bride squad and come hang out with me! I can't wait to see all you beautiful brides on Friday! Details: This isn't your average trunk show - over 100 Maggie Sottero gowns are headed to I Do Bridal for a one-of-a-kind, one-day celebration, along with local vendors, expert stylists, and a special incentive if you purchase your dress during the event. Come celebrate the boutique’s 21st anniversary, play in the Rock.Paper.Scissors Photo booth, enjoy tunes from top Seattle DJ Daron Warshloger, meet and greet with Seattle Style Blogger and newlywed Lisa Dawn of Story of My Dress (11am) and browse ultra-romantic Maggie Sottero styles from past and current collections. Brides-to-be will receive individual attention from a lineup of stylists including special guest Maggie Sottero designer, Jose Dias, the phenomenal I Do Bridal team, and bridal expert Stacey Horton and Demetria Ramakers of Maggie Sottero Designs. Curate your bridal look with accessories from Bel Aire Bridal, then place your order for “The Dress!” Find the wedding dress of your dreams! Swag & Special Incentive: Place your order the day of the Pop Up to receive a special incentive towards your dress (discounts are not usually offered!) AND Maggie Sottero is bringing goodies! 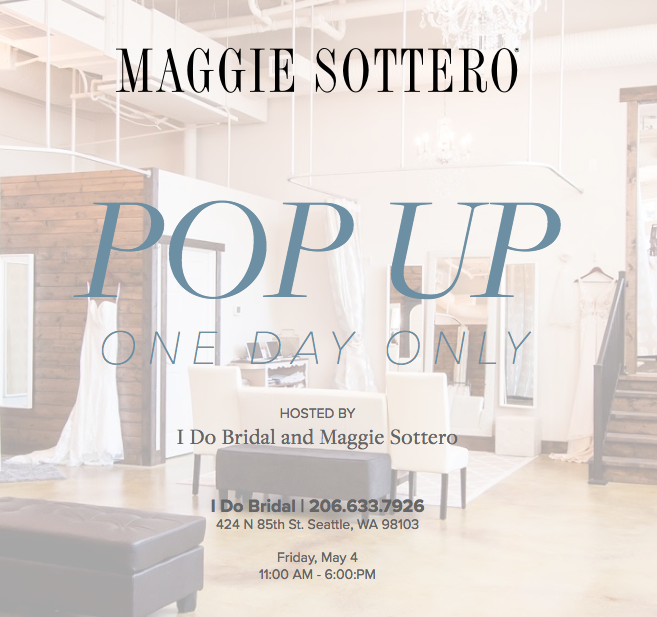 Every bride-to-be who attends the Seattle Pop Up will receive a gift from Maggie Sottero—no purchase necessary. I want to go! Ha ha - well, I'm already married but this sounds like a fantastic event. What an opportunity to view and try on gorgeous dresses. Have a wonderful time! This is an outstanding venue, with great and thoughtful staff, and a fantastic chef. The location of event space NYC is well situated. We has been delighted to host our annual event at this location for the past few years, and the space has been perfect for our group of roughly 300.